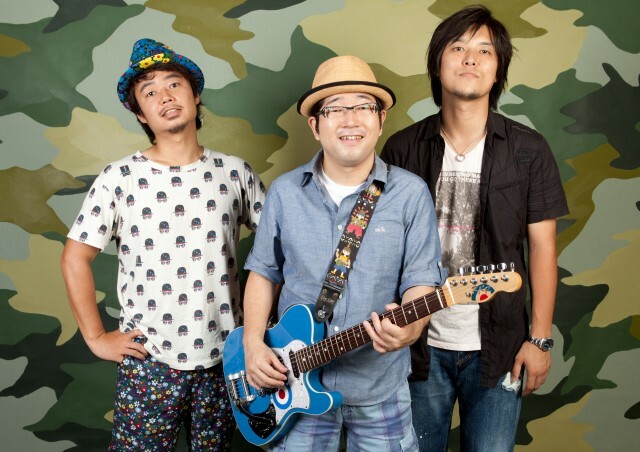 Takashi Yamaguchi (Vocals, Guitar), Yoichi Kondo (Bass, Chorus), and Yasufumi Kiuchi (Drums, Chorus) make up this three-piece, especially notable for their funk and soul-influenced rock sound and their plainspoken yet profound lyrics. Playing live, they bowl over audiences with performances that sometimes feature Yamaguchi speaking passionately to the audience. Their 2005 single “Sekai wa sore o ai to yobun da ze” (That’s what the World Calls Love) was used as the theme music to a TV drama and became a major hit. By touring often and working hard, the band has gained a wide-ranging fanbase.